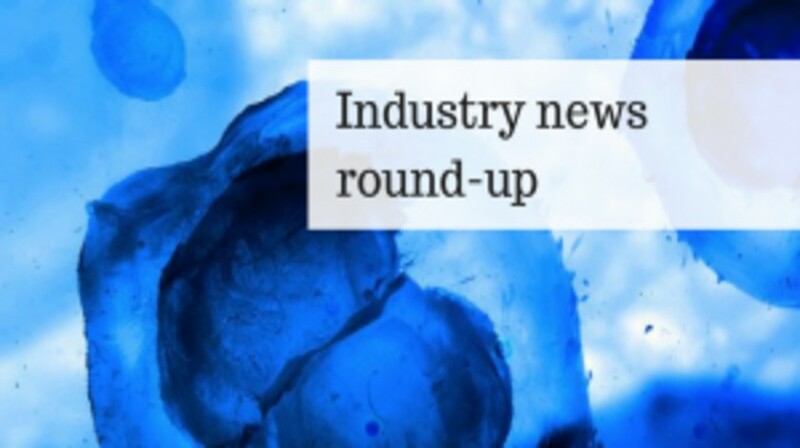 Nektar Therapeutics has made a record, multi­bil­lion-dol­lar part­ner­ship deal with Bris­tol-Myers Squibb (BMS) for a mi­nor­ity share of its early-stage im­muno-on­col­ogy drug NKTR-214. The deal provides BMS with an exclusive development period to pursue a broad new combo development program covering 20 indications involving nine tumors, matching ‘214 with BMS’s two existing immuno-oncology leaders – PD-1 (Opdivo®) and CTLA-4 (Yervoy®). Furthermore, the deal gives BMS a pe­riod of ex­clu­siv­ity on these in­di­ca­tions and tu­mors that ex­tends to a com­mer­cial launch or sev­eral years after the ef­fec­tive date of the deal. The first tri­als are al­ready being ramped up with a shot at reg­is­tra­tional data that could start rolling in in approximately 18–24 months, ac­cord­ing to the Nek­tar team. “For years we’ve known how im­por­tant that path­way was but no one was able to safely ac­cess that. This was a sin­gu­lar achieve­ment, a real tour de force of pro­tein en­gi­neer­ing,” explained Stephen Dober­stein, head of R&D for Nek­tar. “There’s a re­ally spe­cial syn­ergy be­tween NKTR-214 and the way it ba­si­cally changes the im­mune sys­tem and how that syn­er­gizes with the mech­a­nism of ac­tion of Op­divo,” added Jonathan Za­levsky, Nek­tar’s chief sci­en­tific of­fi­cer. “We now have three ther­a­pies in im­muno-on­col­ogy,” explained Saurabh Saha, se­nior vice pres­i­dent and global head of trans­la­tional med­i­cine at Bris­tol-Myers: PD-1, CTLA-4 and now ‘214. “The T cell is the war­head against can­cer cells,” he concluded. NICE has issued its Final Appraisal Determination (FAD) to recommend Lenvima (lenvatinib) for indviduals with advanced RAI-refractory differentiated thyroid cancer. The positive NICE recommendation comes after the EMA approved lenvatinib for use almost 3 years ago and the Scottish Medicines Consortium (SMC) approved it for reimbursement in October 2016. This was followed by the All Wales Medicines Strategy Group’s approval in October 2017. The European Medicines Agency (EMA) approval and subsequent NICE recommendation was based on the pivotal Phase III SELECT study that demonstrated lenvatinib was associated with significant improvements in PFS in patients with progressive RAI-R DTC. Median PFS with lenvatinib was 18.3 months compared to 3.6 months on placebo (HR 0.21; 99% CI 0.14–0.31, p<0.001). In addition, the objective response rate was 64.8% versus 1.5% with placebo (p<0.001). DiaCarta (CA, USA) has announced the completion of its series B funding round, raising $45 million for the expansion of its cancer detection and monitoring technologies. The funds from the investment are intended to drive growth in the following areas: establishing global clinical study programs, the launch of ColoScape™, an in vitro tool for the detection of colorectal cancer, expansion of Next Generation Sequencing, among other objectives. DiaCarta’s novel QClamp® Xeno-Nucleic Acid (XNA™) is intended as a mutation detection assay, identifying wild-type DNA and silencing mutant DNA. The technology has demonstrated efficacy in sensitive and specific detection, particularly in liquid biopsies. Cancer Research UK has announced that £45million will be invested into its network of clinical trials units across the UK, one of the charity’s largest investments in clinical research to date. The huge sum will be divided over 5 years across eight clinical trials units in Cardiff, Birmingham, Glasgow, Southampton, Leeds and London (at The Institute of Cancer Research, University College London and Queen Mary University of London). Each year, around 25,000 people take part in a clinical trial that’s supported by Cancer Research UK.